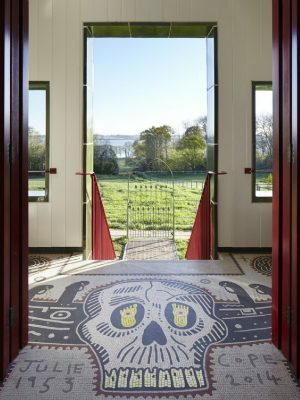 FAT’s House for Essex could still win the Stirling Prize: awards chief blames communication blunder for oversight and vows to give it second chance. 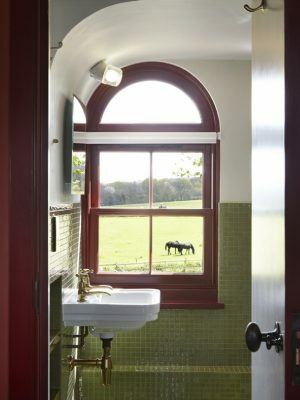 Earlier in April the project missed out on an RIBA East Award despite many believing the building would win a regional accolade. Commenters on social media said the decision by the RIBA East jury was ‘incredulous’, ‘poor’ and ‘utterly tragic’, reports the AJ. Property developer Martyn Evans said on Facebook: ‘Apparently this beautiful building was not good enough for a RIBA Regional Award this year. Which means it’s not eligible for a national award. Which means it can’t be considered for the Stirling Prize. Responding to the comments, the project’s architect Charles Holland said: ’It’s obviously disappointing for everyone involved in the project. It’s no disrespect to any of the winners – who have designed some exceptional buildings – to say that the jury could have embraced a wider diversity of approach. How many new buildings have a scale snow globe model of them for sale in the village shop? 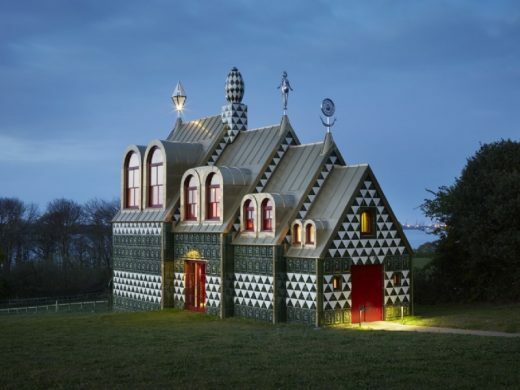 ’There are other notable schemes that didn’t win anything including Adam Kahn’s Penthorpe Playbarn which looks beautiful and has some lovely, decorative detailing, as well as Caruso St John’s Heong Gallery in Cambridge. I can only conclude that there is some resistance to practices interested in exploring ideas outside the mainstream. 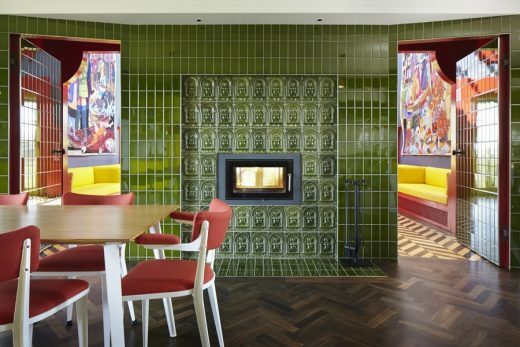 The decision means the project will not go on to be considered for the Stirling Prize or the House of the Year award. Living Architecture’s latest project, A House for Essex – a daring and provocative collaboration between FAT Architecture and Grayson Perry – is launched today. 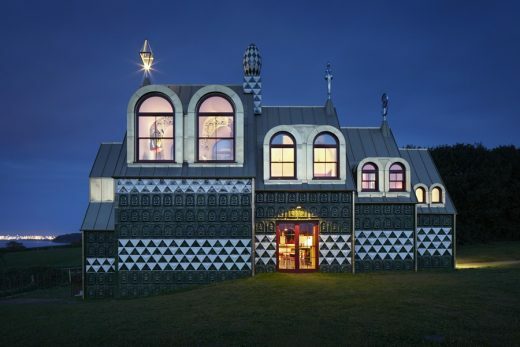 The house, which is situated in Wrabness close to the Essex coast, is an extraordinary work of architecture and art, which provides a setting for a number of specially-commissioned works by Grayson Perry exploring the unique qualities of Essex. 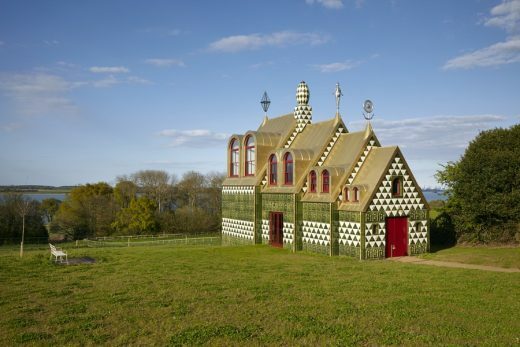 A House For Essex has been conceived as a landmark in the tradition of wayside and pilgrimage chapels. 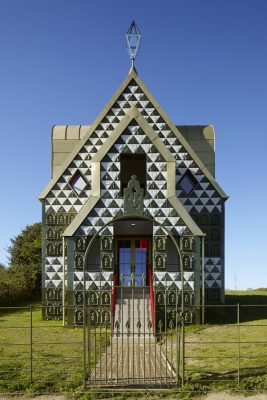 Like a pilgrimage chapel, the house is dedicated to a saint – in this case a secular one by the name of Julie Cope – and gives architectural expression to her life. 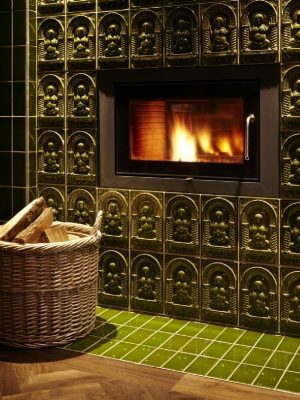 The design relates to a number of influences including Stave churches, arts and crafts houses and English baroque architecture. 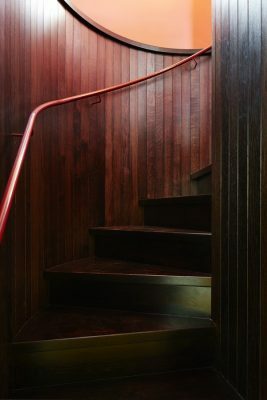 Charles Holland of FAT Architecture has described the building as “a radical statement about architecture and its capacity for narrative and communication. The design embraces decoration, ornament and symbolism in order to tell a rich and complex story. Formally, it is like a Russian doll, a series of archetypal house shapes that step up in scale as the building descends the hill”. 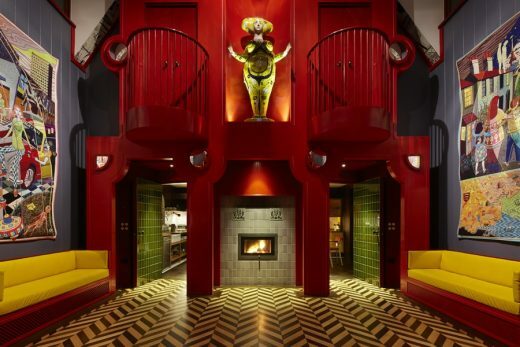 The interior features a number of Grayson Perry’s handmade ceramic pots and tapestries depicting the fictional life of Julie, described by the artist as an ‘Essex Everywoman’. 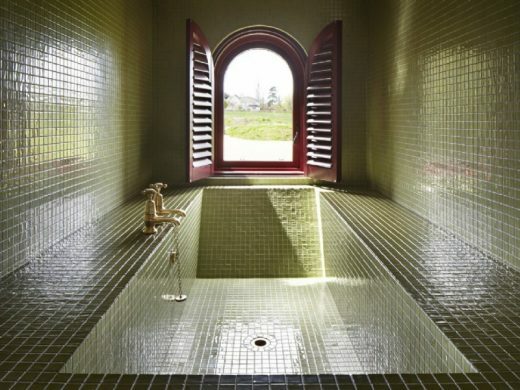 Visitors to the house pass through a series of unfolding spaces before entering the chapel, concealed behind two ‘hidden’ doors. The chapel itself is organised around a striking decorative object – part medieval rood screen, part baroque façade – that frames a ceramic statue of Julie herself. 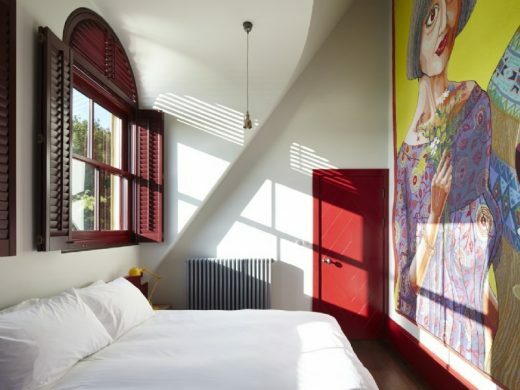 Upstairs the two bedrooms – with views to east and west – have walk-through cupboards that lead to internal balconies overlooking the chapel space. 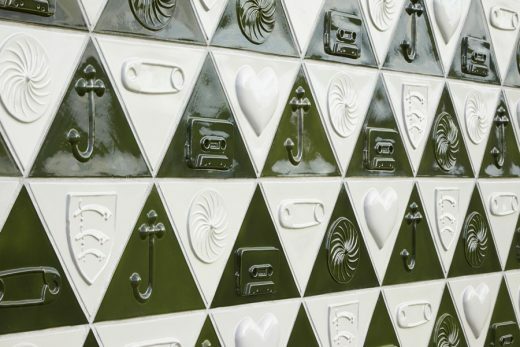 The exterior, clad in more than 1900 green and white ceramic tiles, are cast from originals made by Perry, depicting Julie as mother and icon, along with symbols associated with her life. She appears again, on the roof in the manner of a giant weather vane in addition to a beautifully cast ceramic chimney pot, wheel sculpture and beacon. 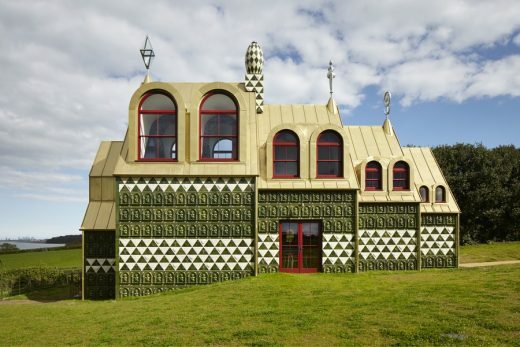 Channel 4 has followed the creation of this extraordinary house for three years and will broadcast the final film Grayson Perry’s Dream House on Sunday 17 May at 9pm. 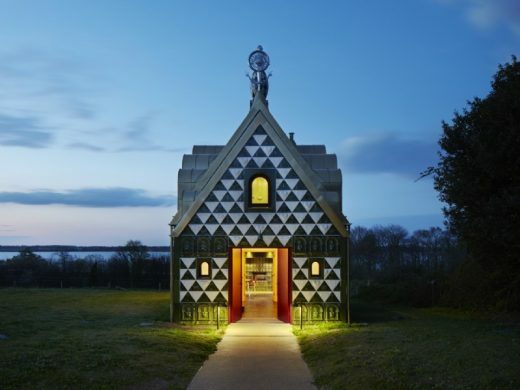 “When Living Architecture offered me the opportunity to collaborate with FAT it was a golden chance to realise a long held ambition to build a secular chapel. Charles Holland and I batted ideas back and forth until a bonkers yet dignified design emerged glistening. 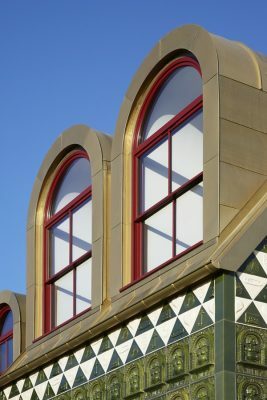 The resulting building is a total art work, a fiction in which you can live, a digital age shrine and a homage to Charles’ and my home county. 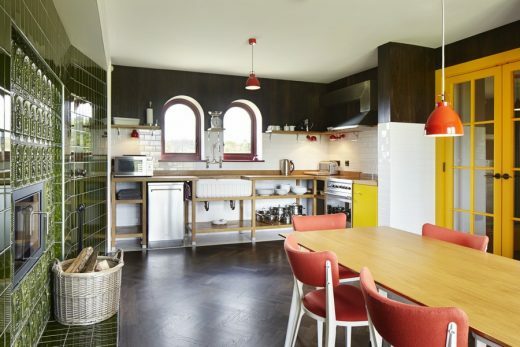 A House for Essex will be available to rent on a short-term holiday basis, and can sleep up to four people in two bedrooms. Slots will be allocated by public ballot which will open to entrants on 15 May. 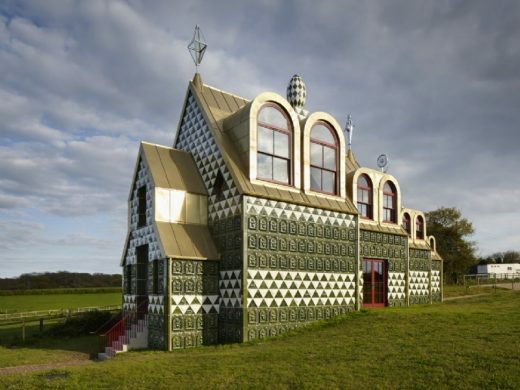 A House for Essex will be featured in a Channel 4 documentary (Grayson Perry’s Dream House) at 9pm on Sunday 17 May. Living Architecture is an organisation aims to shift perceptions of modern architecture. The aim is to allow people to experience what it is like to live, eat and sleep in a space designed by an outstanding architectural practice. 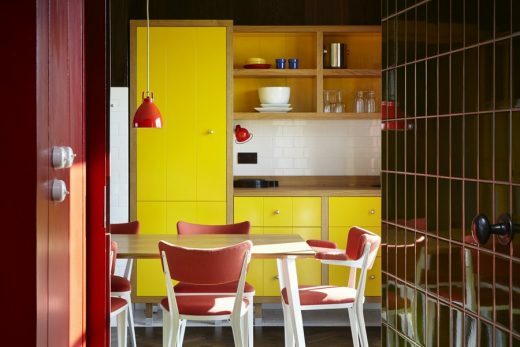 Founded by Alain de Botton, who acts as Creative Director, Living Architecture is dedicated to using world-class architects to build houses for rent around the UK.